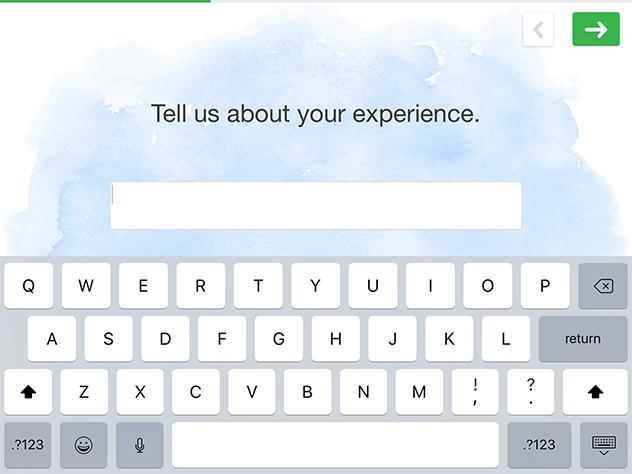 Use one of our customizable feedback survey templates to get started right away. Works on any mobile device, online or offline! 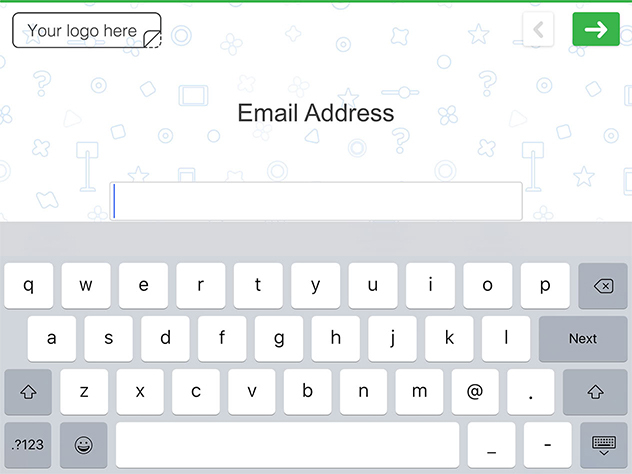 Get visitor feedback and collect email sign ups. 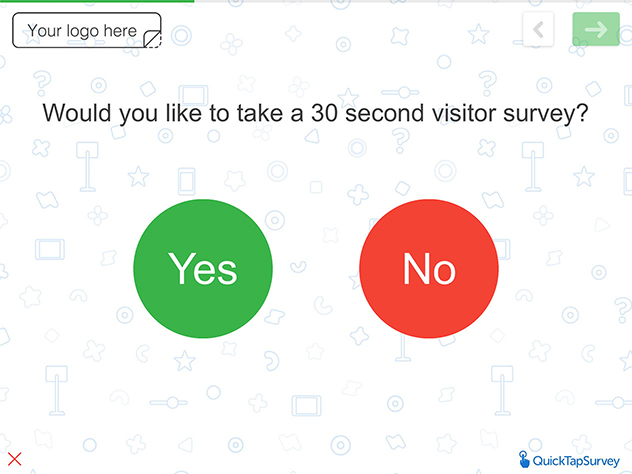 Capture in-person NPS® to measure your customer loyalty. 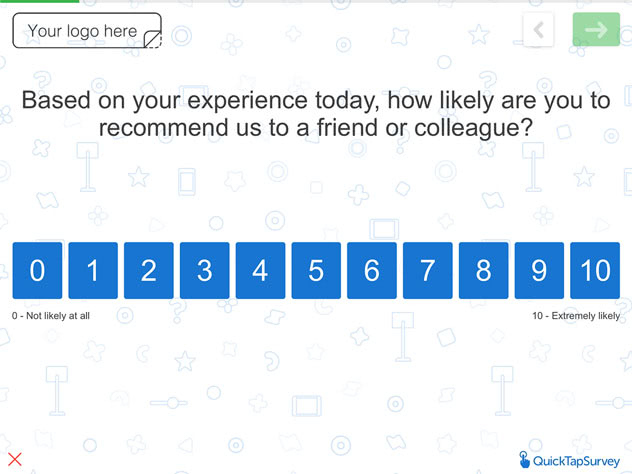 Capture customer feedback with this survey template and measure customer. 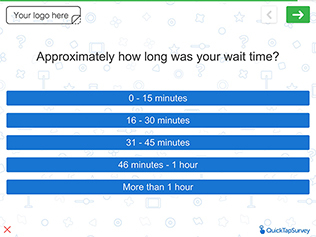 Measure customer satisfaction and automate follow up with this survey example. 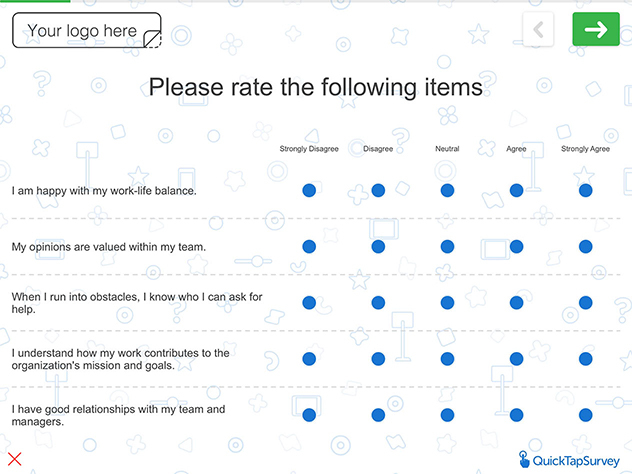 Capture employee feedback with this employee pulse survey. Are Your Customers Happy or Not? 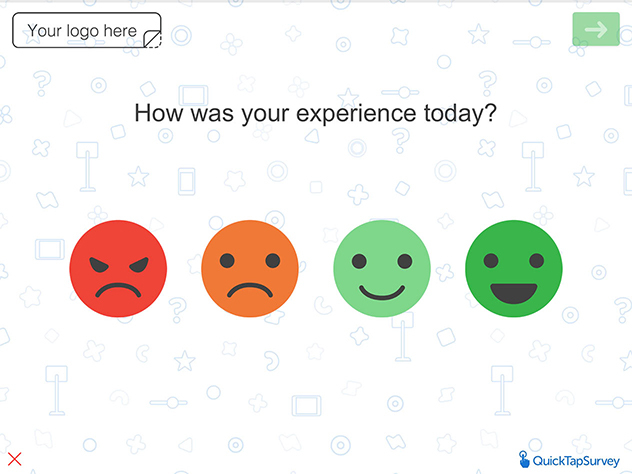 Find out if your customers are happy or not with this client feedback template. 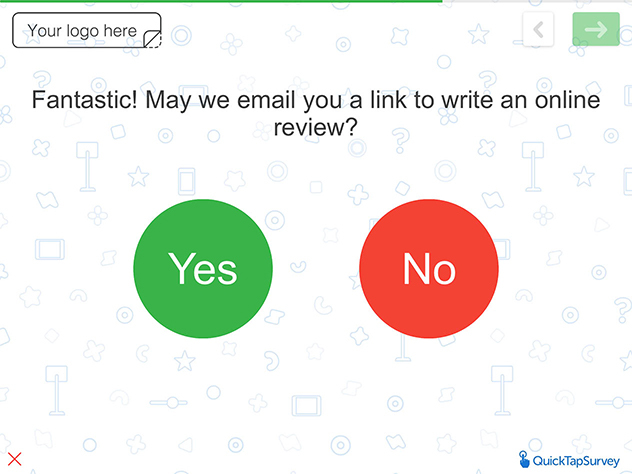 This template collects customer feedback and automates an email to your happy customers to leave an online review. 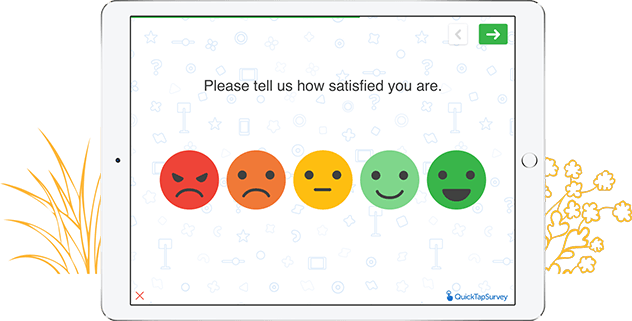 Capture patient feedback and increase patient satisfaction with this patient feedback survey template.